With mobile devices becoming an increasingly popular means of communication, it makes sense that companies in the finance industry are stepping up their investments in mobile marketing. 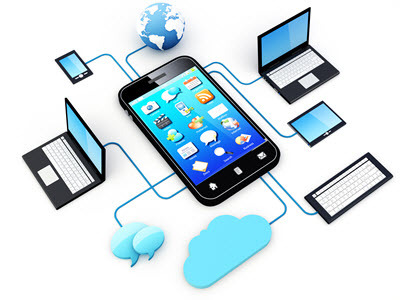 An IBM study revealed that 45 percent of industry players in financial markets were already implementing mobile technology in 2013. As such, businesses need to incorporate mobile into their marketing strategies if they want to maintain their competitive edge. Here is a look at why financial companies should consider adopting mobile marketing…. According to research conducted by Pew Internet Project, about 90 percent of adults in the United States owned a mobile phone as of January, 2014. An increasing number of mobile users are using their devices to search for products and services, and engage with brands. Financial companies can take advantage of this trend by adopting mobile marketing. Mobile marketing enables them to make their brands visible to a much larger number of people and gives them round-the-clock access to their target consumers. This form of marketing can be done in a number of ways, including mobile apps, mobile banner ads and text messaging. Text messaging has become one of the most preferred marketing mediums in recent years, because of its high open and response rates. In an article entitled “5 Reasons Mobile is Right for the Finance Industry“, it is said that 90 to 95 percent of text messages are viewed within minutes of delivery. Most mobile users keep their devices with them everywhere they go. As such, financial companies that need to send time-sensitive marketing messages, such as notifications of product launches or special offers, can rest assured that their messages will reach the intended recipients with little or no delay. Mobile marketing is the only form of marketing that offers this “always on” advantage. Since many mobile users are very attached to their devices, they may perceive mobile marketing as a friendly or intimate form of marketing. As such, they may be more willing to interact and establish personal relationships with financial companies that reach out to them via mobile. Regular engagement with customers can result in higher conversions rates, increased customer loyalty and more repeat business. Another benefit of mobile marketing is that it can help financial companies gather a wide range of information about their target consumers. Such information can be turned into useful insights that can lead to better strategizing and decision-making. By gaining a better understanding of the preferences and habits of consumers, they can make improvements to their products and marketing strategies to achieve better results. Mobile marketing enables financial companies to reach more consumers at a lower cost. It typically costs just a fraction of the cost of television or radio advertising. Companies that use text message marketing can get a bulk SMS package that allows them to send thousands of messages a month for a low fee. Mobile marketing is not only an effective marketing method for financial companies; it can also do wonders for businesses in other industries. It is the key to standing out in today’s crowded business world. ← Is Your Company Internet Disconnecting with Customers?